When I was an art student living in a tiny room, I had a beautiful white African Violet plant on my east facing window sill. It never stopped blooming. The early morning sunlight dancing on the little plant would always put a smile on my face. 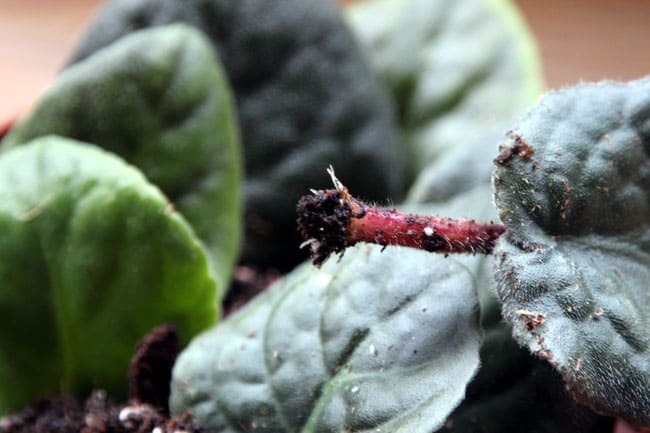 African violet is one of the most loved indoor plants. 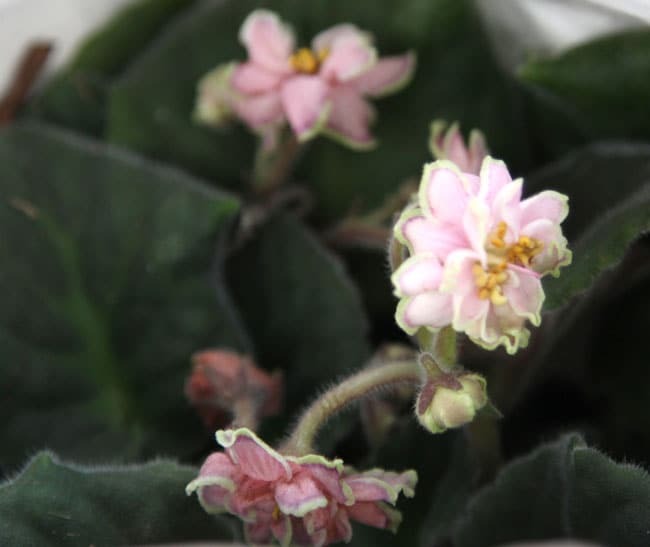 Most indoor plants are foliage plants, but African Violet blooms all the time and comes in so many colors. They are easy to grow and propagate. 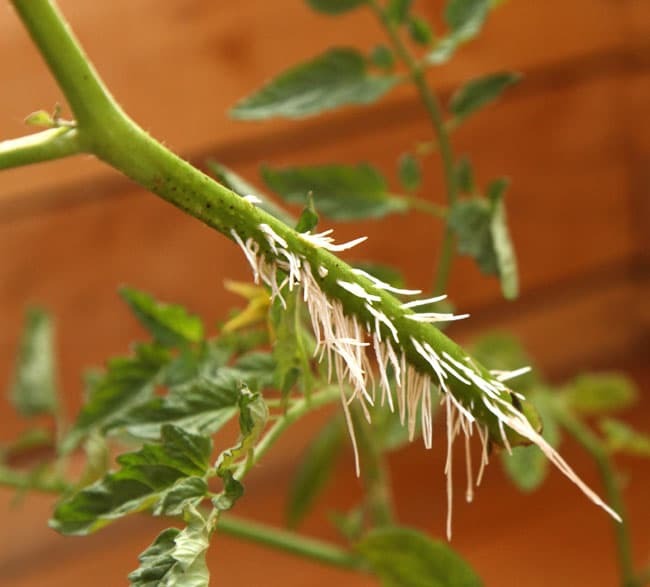 You can root a new plant easily from a single leaf cutting! I tried 2 ways to do this, and got 100% success! 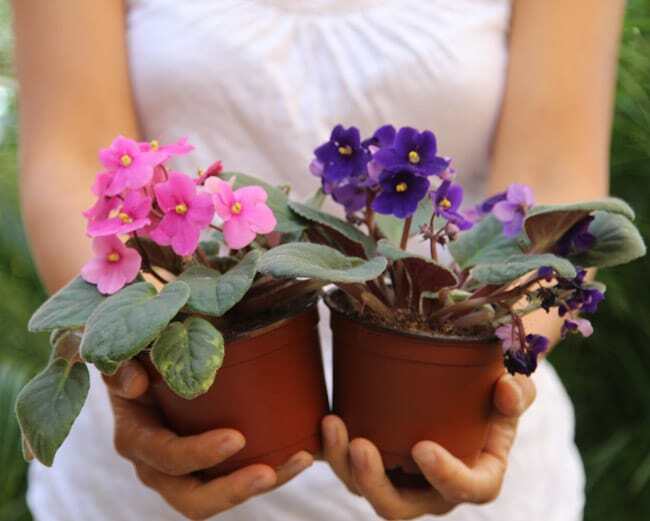 Let’s look at both ways and the pros and cons of each, so you can start your beautiful African Violet collection for every room and to share as gifts! Find a healthy leaf, use a clean and sharp knife to slice it off at the base. Take care not to harm other parts of the plant. Fill a bottle with room temperature water. 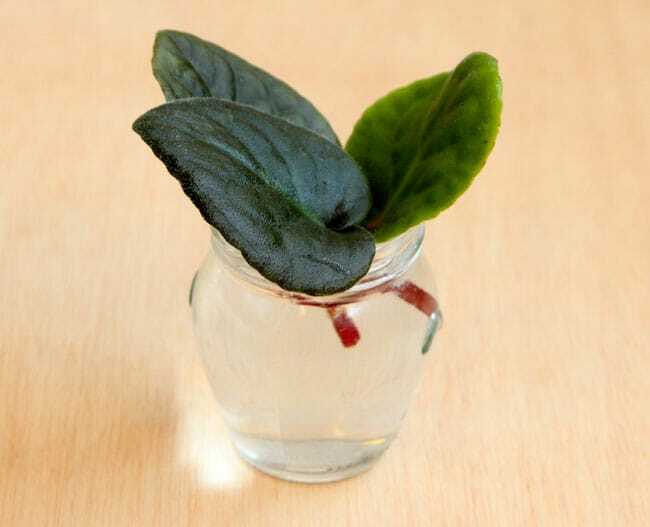 the opening of the bottle should be a little smaller than the leaf so the stem of each leaf can be in water, while the rest of the leaf is above water. Put the leaf cuttings out of direct sun, in a bright and warm spot. After 2-4 weeks, you will see roots forming. 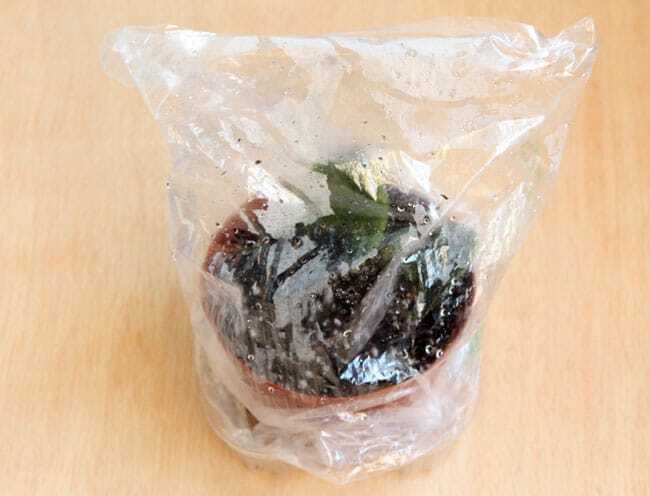 Now carefully plant each leaf in moist potting soil, and let the little plants grow! 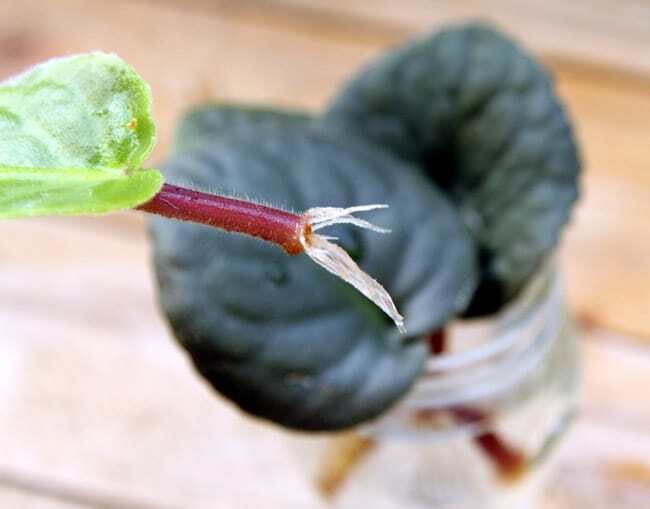 The second propagation method is simply to plant the leaves directly in moist potting soil. 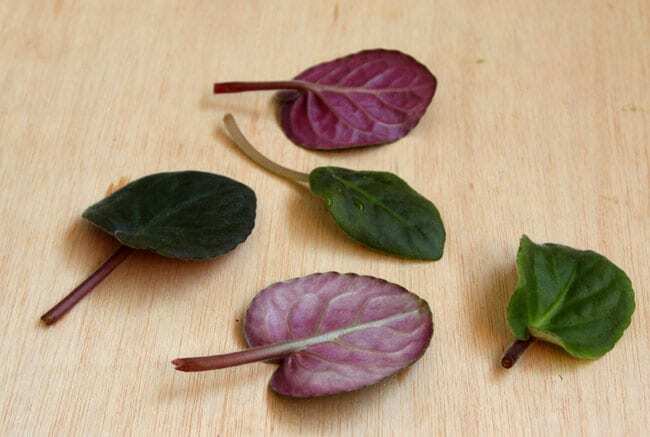 You can bury each leaf about 1/3 of the way, if the stems are too short to be stable. No rooting hormones needed. 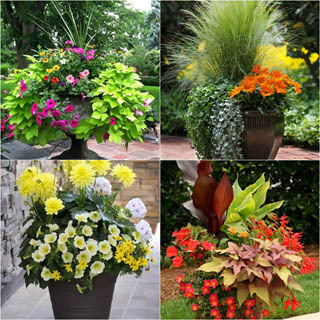 No need to water them either because of a humidity tent – a clear plastic bag propped over the pot. Roots will start growing in 2-4 weeks. I planted all these leaf cuttings thinking I would get one or two to root, but they ALL rooted! After 4 weeks, remove the humidity tent, and water as the soil starts to become dry. A couple of weeks later, buds grew from the base of the rooted stems to become clusters of new leaves, and flowers eventually! I separated these leaf cuttings into additional pots so each plant has more room to grow. The soil method is easier since it’s only one step. The water method gives us more assurance because we can see the roots growing. 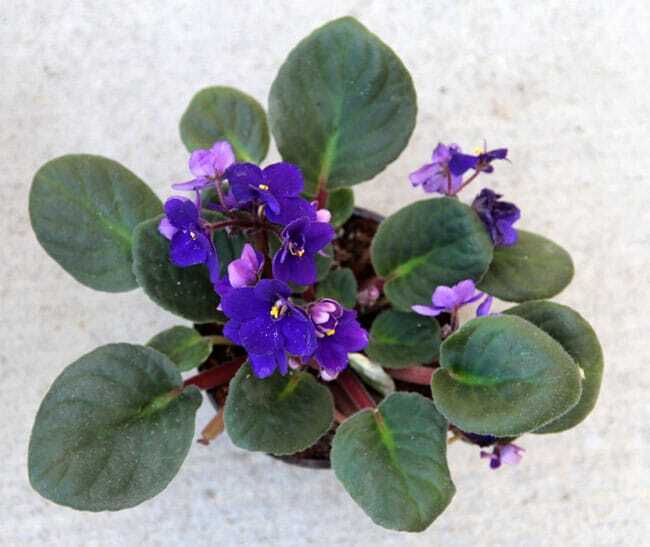 African Violet loves bright shade or some early morning sun. They are easy to care for. Just don’t them dry out or sit in water for too long. 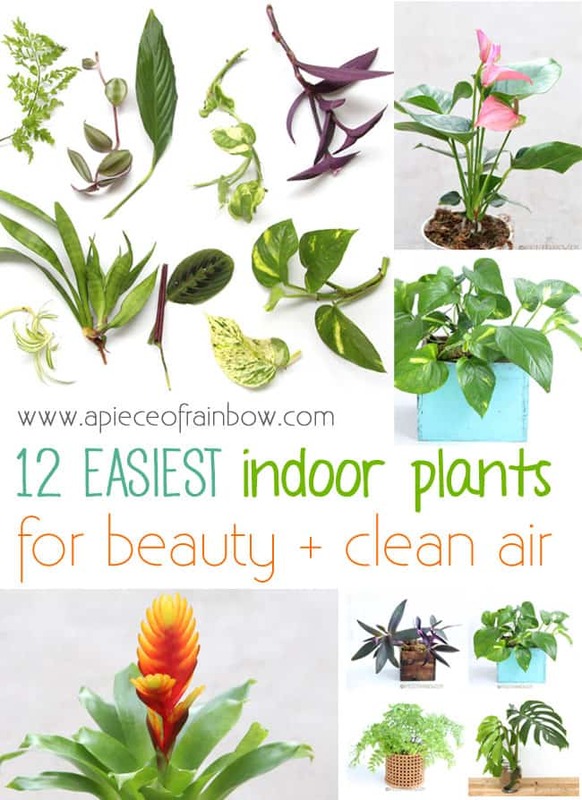 Can’t get enough indoor plants? 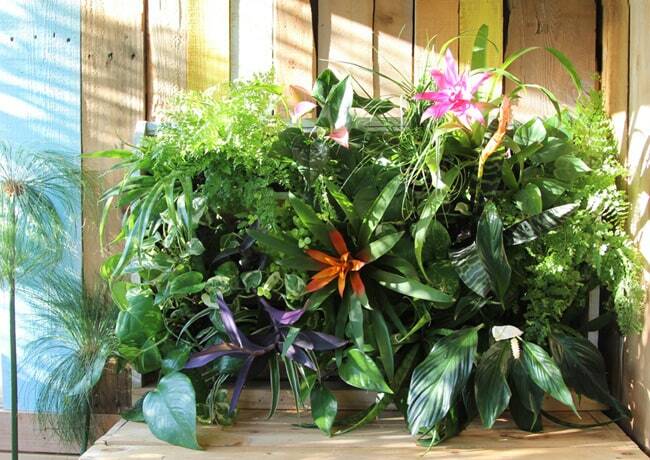 Check out these bullet proof plants that also clean indoor air! 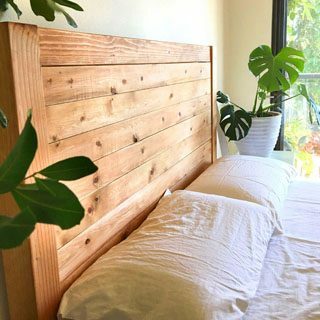 And this easy to build tropical living wall from pallet wood! 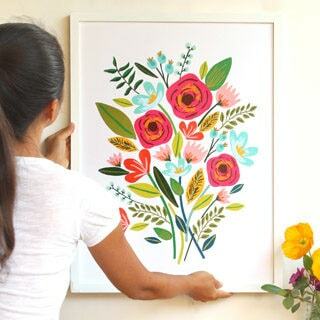 Oh goodness I haven’t seen these flowers in forever! I loved them as a kid. 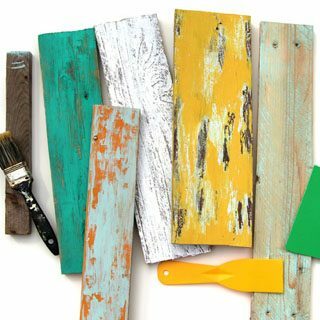 I am definitely going to have to see if I can find some for my kitchen! I’m just getting started with indoor plants so this would be ambitions for me, but I’d love to try it in the future. Thanks for the instructions! Simply amazing. I just did this with some cactus leaves. 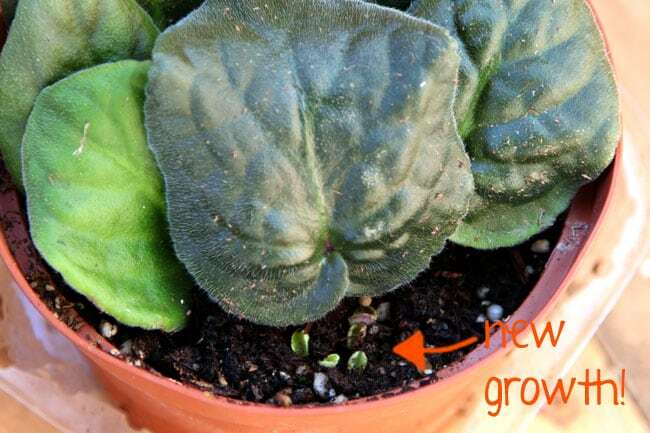 I love African violets, too, and this gives me a bunch of ideas of other plants to try this on. 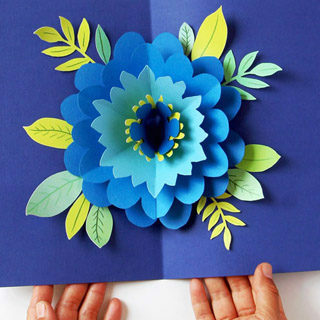 I will definitely be bookmarking this page! Lovely african violet! 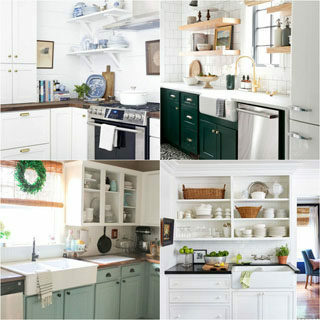 In house it would be so nice colors end life.. 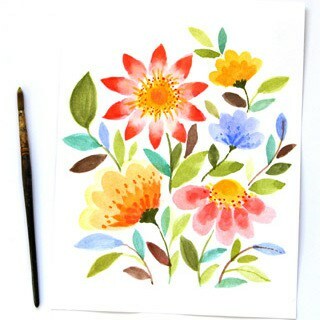 Thanks and have a nice evenibg or day! One of my most favorite flower. Overtime I try to grow them, I have problems with white flies and leaves get white spots on some of the leaves. The top of the dirt gets kinda whitish and crusty. I was taught by a dear friend to always water from the bottom of the pot. Make sure to add water to the saucer, the leaves hate to be wet. My first violet had a small “wick” coming from the dirt in the bottom through the hole in the bottom of the pot to draw water up. I love growing African Violets. I’ve learned to root them in a glass of water with foil covering the top with holes punched with a pencil and fill each hole with a violet leaf and grow them under indirect lighting until the roots get strong looking. 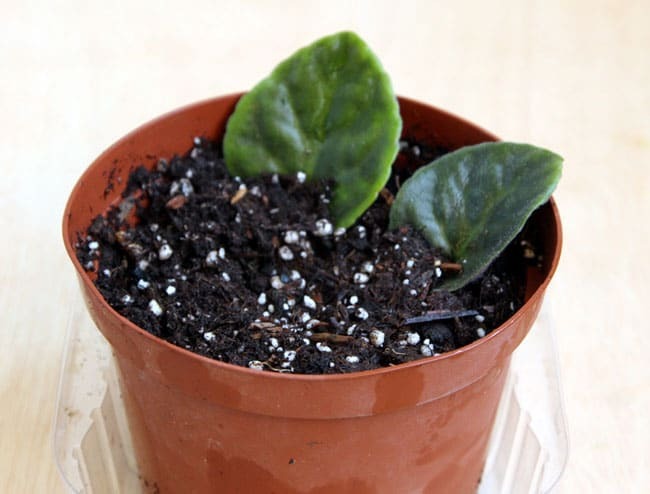 When they root I have learned to use the American Violet pots that you can find at Home Depot or Lowe’s. The pots contain two pieces. 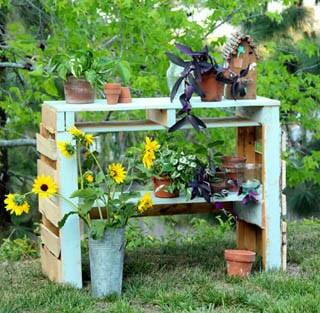 Plant the violet in soil in in the top pot and fill the second or lower pot half full with room temperature water. Set the violet in the top pot into the bottom pot with water. The water will seep through the bottom of the top pot to keep the violet moist. Mine also grow in the east window. 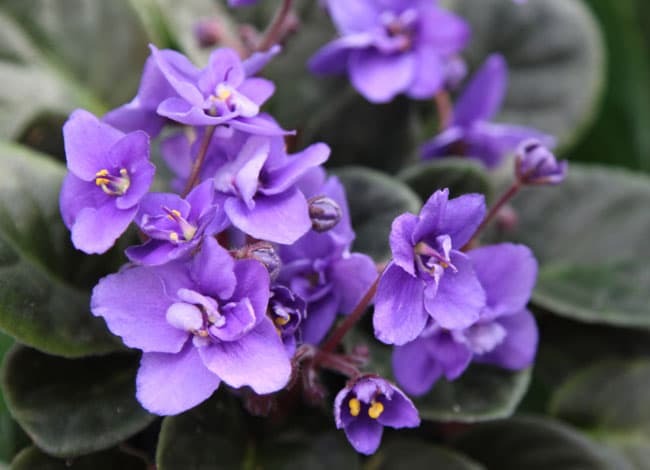 The violets need to be fertilized occasionally with small amounts of African Violet food sprinkled and mixed into the water in the lower pot. The African Violets will bloom constantly. 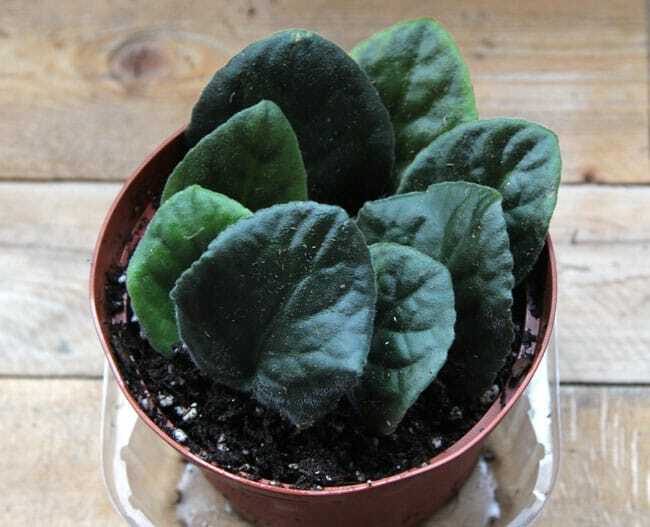 I later pinch the lower larger leaves off of a plant to start more plants to give to friends so that the violet can spread out and grow well. I have always had a problem with mealy bugs, they seem to come from nowhere. Any tips n how you deal with them? superbe tout çà ! je recherche petite déco extérieur en devant porte d’entrée pour noel une idée? l’année dernière j’avais mis deux petits sapins en pot fushia de chaque coté avec guirlande simple led et deux panier osiers avec des pommes de pins….cette année je veux du naturel bois (retour pommes de pin ou autre) j’ai des épines de pin parasol….je vais chercher une idée avec çà aussi…. merci de m’aider bye! 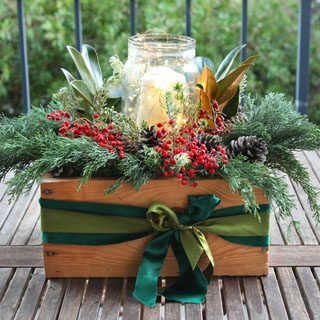 With single led garland and two basket wicker with pine apples. . . . 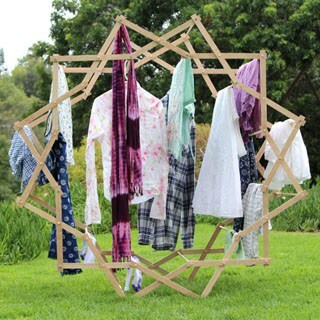 This year I want natural wood (back pine cones or other) I have pine spines umbrella. . . . I’ll get an idea with that too. . . . Thanks for helping me bye! Thanks a lot for sharing the technique to grow African Violet. My mother had it and I loved to see it bloom. I wish I can get some leaves or plant somewhere nearby I want to grow it. Once again thank you for sharing he technique with nice pictures that the procedure is very clear. Hola!!!! realmente eres fantástica tienes muchos ases bajo la manga todo lo que he visto y he leído llegó cómo caídos del cielo.gracias ,gracias. Love both methods can you tell me, can you take cuttings from different colored violets to make a violet that let’s say has white, pink, purple and pink and white one to make a violet with all those colors? Also why are the violets that have the ruffled edges so hard to find? 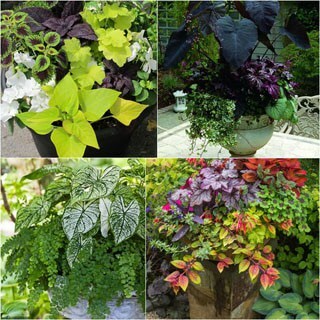 hi pattye you can plant different cutting in one bigger pot to create the mixed color look. to make one violet with all the colors is called grafting, which is way more challenging i think! =) the ruffled edge ones are special breeds. Love your post. I was gifted a red African violet when I was a kid n was advised to care for it well because it was a rare one. I didn’t….I only realise now how true that was…I have not seen it in any of my searches….twenty yrs on.